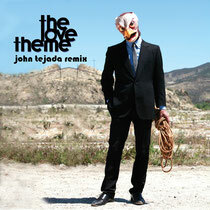 John Tejada’s remix of ‘Rope’, the crossover single by The Love Theme featuring vocals by former Inspiral Carpets’ frontman Tom Hingley, marks the launch of Toronto’s Plumbline Records on 29 November 2012. ‘Rope’, taken from The Love Theme’s 2012 album ‘How Rude’, was remixed by Tejada and Germany’s Riccicomoto for this, the debut EP. “I loved Inspiral Carpets’ album ‘Revenge Of The Goldfish’, so remixing this track with Tom’s vocals was a real treat,” said Tejada, the producer best known for tech-house classics like ‘Sweat (On the Walls)’ and ‘Sucre’. The Love Theme is the EDM alter ego of Dominic Owen, whose previous production credits include The Notorious B.I.G., Lil’ Kim, and Nas. “John is one of those artists whose work has stayed the test of time,” said Owen. “From his early releases on Palette to this year’s ‘The Predicting Machine’ on Kompakt, his artistic voice has been consistently unique and ahead of the curve."